As citizens of the world, we face a number of daunting challenges. For starters, there are approximately 800 million people living at the starvation level, 2.5 billion people who suffer from illness because they have no access to sanitation, 1.1 billion people who still have no clean drinking water, and countless others who have been affected by dramatic climate changes. Unfortunately, we live in a world where resources, funds, and political will to solve many of these problems are severely limited. Deciding just which problem to address first can be quite tricky. 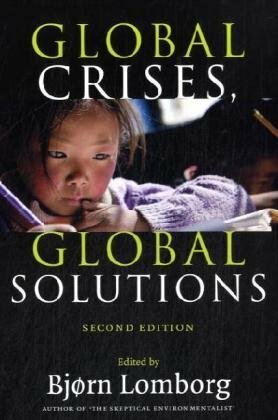 To solve this dilemma the author believes that if we rationally set hierarchical priorities it will be easier to focus our immediate attention on the most serious of global needs. Weighing the costs versus the benefits for international action on any one issue is a difficult task, and attempting to impose a common cost-benefit framework so that one issue can be compared with another is an ambitious exercise, often leading to disagreement. There is no question that the Copenhagen Consensus has already started an important global debate on the idea of economic prioritizing of resources, and it is a debate which will most likely continue for many years ahead. Evidence shows that trade in creative goods and services is important to the economies of developing countries, and the importance of this trade high- lights the strength of the creative economy in many parts of the developing world. Despite the difficult obstacles that many developing countries face in accessing global markets for creative products there is the potential for looking to export expansion as a source of growth for the creative economies of these countries. Policy strategies to encourage the development of the creative industries in Southern countries must recognize the cross-cutting and multidisciplinary nature of the creative economy, with its widespread economic, social and cultural linkages and ramifications. Key elements in any package of policy measures are likely to emphasize the “creative nexus” between investment, technology, entrepreneurship and trade. Evidence-based policy-making is hampered at present by a lack of comprehensive and reliable data on the various dimensions of the creative economy. Progress can be made in assessing production and trade in creative products in developing countries using existing statistical sources. Further progress, however, requires the development of new models for gathering data (qualitative and quantitative) concerning the creative industries and how they function within the economy as well as improvement in the quality of current data-collection processes. Current IPR legislation has not been able to avoid economic asymmetries. Therefore, efforts to enforce IPR regimes should ensure that the interests of artists and creators from developing countries are duly taken into account. Intellectual property should provide a stimulus to creators and entrepreneurs in the form of a tradable economic asset that is instrumental to enhancing the potential of the creative sector for development. We’re filling up the world with technology and devices, but we’ve lost sight of an important question: What is this stuff for? What value does it add to our lives? So asks author John Thackara in his new book, In the Bubble: Designing for a Complex World. These are tough questions for the pushers of technology to answer. Our economic system is centered on technology, so it would be no small matter if “tech” ceased to be an end-in-itself in our daily lives. Technology is not going to go away, but the time to discuss the end it will serve is before we deploy it, not after. We need to ask what purpose will be served by the broadband communications, smart materials, wearable computing, and connected appliances that we’re unleashing upon the world. We need to ask what impact all this stuff will have on our daily lives. Who will look after it, and how? Based on the novel Way of the Peaceful Warrior by Dan Millman. The film features a troubled but talented gymnast who meets a spiritual guide. Soul Surfer is a 2011 American drama film about the life of surfer Bethany Hamilton. At the age of thirteen, Hamilton lost her arm to a shark attack The film details the events surrounding this attack and her struggle during the aftermath. The Notebook is a 1996 romantic novel by American novelist Nicholas Sparks, based on a true story. A poor and passionate young man falls in love with a rich young woman and gives her a sense of freedom. They soon are separated by their social differences. Chilean film written and directed by Andrés Wood. Set in 1973 Santiago during Salvador Allende‘s socialist government and shortly before GeneralAugusto Pinochet‘s military coup in 1973, the film tells the story of two friends, one of them the very poor Pedro Machuca who is integrated into the elite school of his friend Gonzalo Infante. The social integration project is headed by the director of the school, Father McEnroe. The film is dedicated to Father Gerardo Whelan, who from 1969 to 1973 was the director of Colegio Saint George (Saint George’s College), the private English-language school in Santiago that the film’s director attended as a boy. Why Veg? Por qué Vegetariano? Hagamos espacio para las cosas buenas. Conciencia ambiental, buen diseño, saber gastar.